I am on my way to Estonia for the annual Startup Day in university town Tartu, where I will be braving the cold to deliver presentations tomorrow and on Thursday. One of the things I will be shining a light on tomorrow at the Investor Day is how the European tech scene did in 2018 compared to previous years when it comes to startup funding and exits, after a massive 2017. During the past five years, Tech.eu has grown into the point of reference for statistics and insights on the pan-European technology industry, and we feel a responsibility to publish data on a regular basis to ensure that a consistent and truthful view on what is happening in Europe is possible. You deserve as much! Aside from that, numbers only tell part of the story, which is why I would also encourage you to download our free report on early-stage tech startup activity in Europe, which goes way beyond accurate data to paint an even more complete picture. 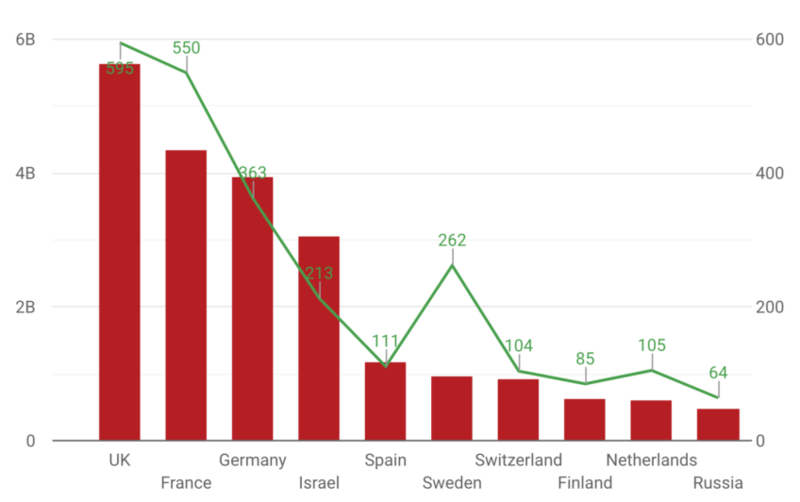 Across the type of funding mechanisms, industries and geographies we track over here, our analysis shows that the total volume of investment going into European technology startups and scale-ups went down in 2018 compared to the previous years. 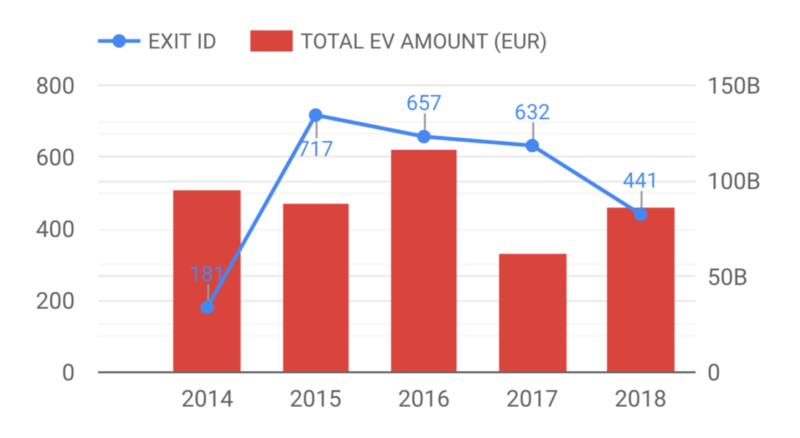 Whereas Tech.eu tracked over €25 billion in funding in 2017, all deals added up to €24.7 billion for the full last year. 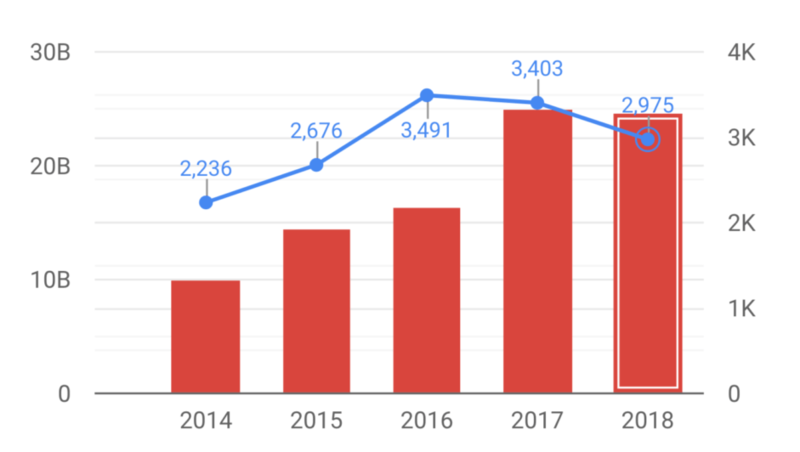 Perhaps surprisingly to some, but you can also see it a sign of maturation given that the number of deals went down significantly (from roughly 3,400 in 2017 to just south of 3,000 funding rounds in 2018). In short, the trend is clearly fewer deals but larger round sizes across the board. To add to that, 2017 was a rather exceptionally big year for funding, and the number for last year came really close. The better way to look at this is to compare against 2014-2015 rather than year by year. What we also noticed is that fintech, medtech/health tech, transportation/mobility and cybersecurity continue to be the main strongholds in European tech, as reflected in both funding and exit numbers. For people who find such things important, we can also note that most of the funding for tech startups went to the UK, France, Germany and Israel (in that order). No real surprises there, but the ‘three S countries’ that follow may be: Spain, Sweden and Switzerland completed the list in 2018 ahead of countries like Russia, The Netherlands and Finland. It will be interesting to see whether the UK can keep its crown in the next years. 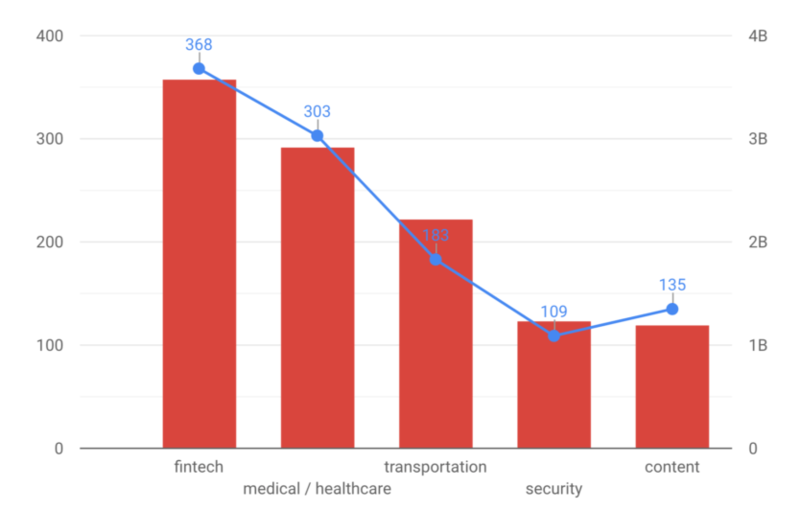 Finally, the number of exits we tracked in 2018 (441 deals) was significantly lower from 2017 (632 deals) but the total disclosed value of those deals far exceeded the previous years. Across all mergers, acquisitions and IPOs of European technology companies the disclosed total value of those deals in 2018 amounted to 86.3 billion euros compared to 62.6 billion in 2017. More numbers, reports and insights coming up! Check out more research here.